1.2 What is Firebase ? 1.2.1 1. Android Studio Project Setup. 1.2.2 2. Project creation on FCM console. Hello Friends we all know about push notifications which inform us about something new service integrated in the app or some new features updated in the existing app. Most common are Instagram follows, likes and recommendations and it goes the same way for all applications. Google Cloud Messaging service which is deprecated now because of Google Play services 9.0 update.So now GCM is succeeded by FCM (Firebase Cloud Messaging). 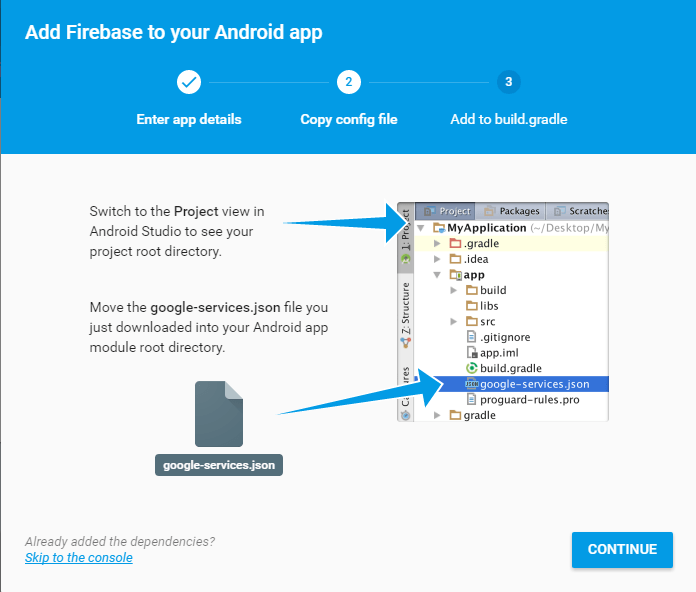 Firebase is a powerful platform for building Android, iOS and web based applications. 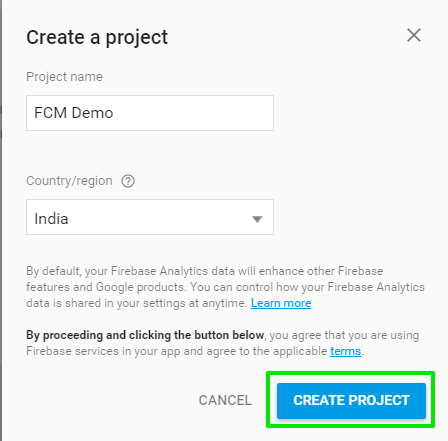 Firebase offers real time data storage and synchronization, user authentication, analytics, hosting, database, remote configuration, notification, cloud messaging and lots more. 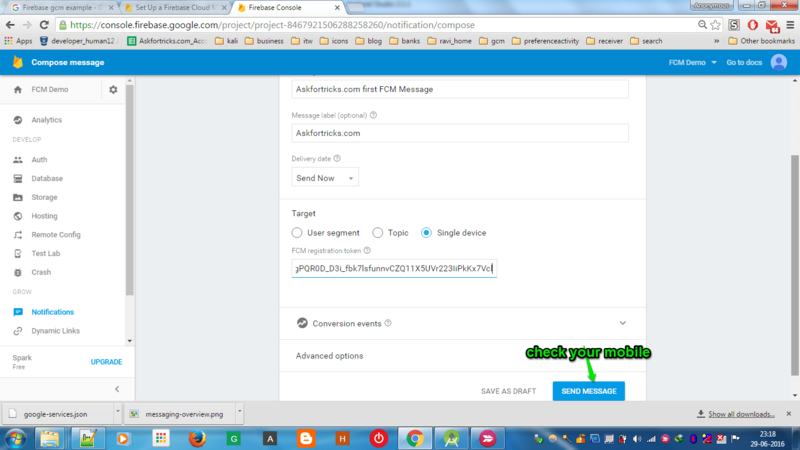 Before the Google I/O 2016, we used Google Cloud Messaging service (GCM) to send data: notification, messages from the server to the clients or android app users. 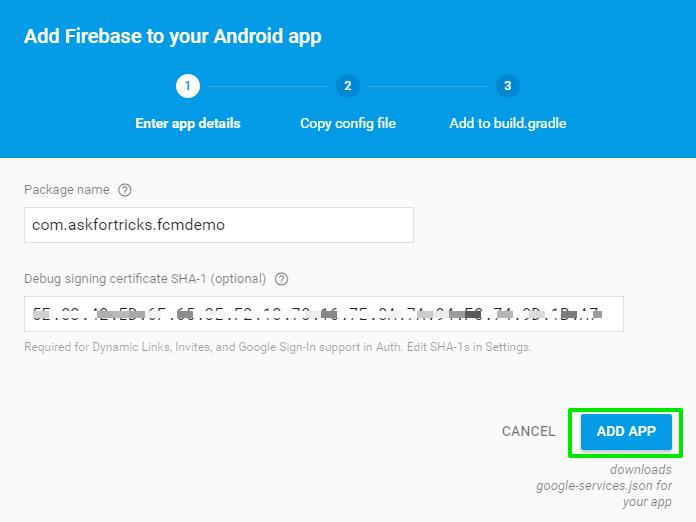 Google introduced the Firebase cloud messaging in Google I/O 2016. So here we will see the Android Push Notification demo using latest Firebase support. Note:I assume that you have updated your Android sdk to the latest. 1. Android Studio Project Setup. 2. Project creation on FCM console. and storeTokenToPreference(refreshedToken) methods which do what their name suggest. Here storeTokenToPreference(refreshedToken) method stores the token once it arrives into Shared Preference (which you need to create) and makes it available throughout the app. And sendRegistrationToServer() method will send that token to your web service for further processing as per your needs. 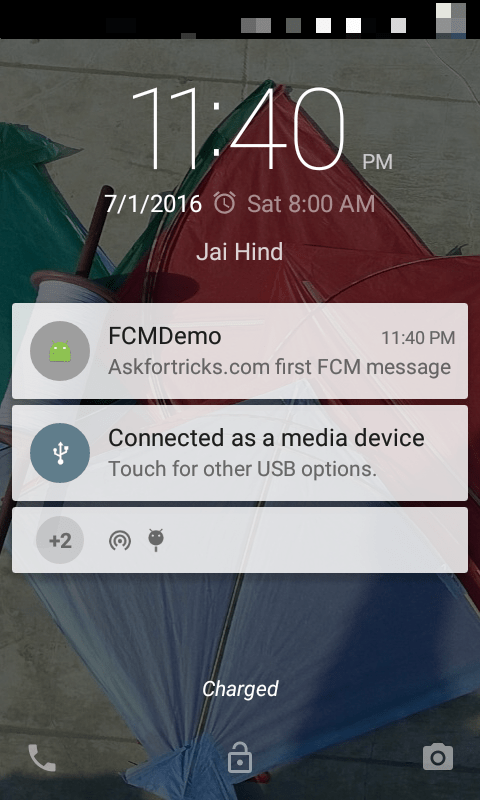 Step 13: Completed the copying google-services.json file ,run the FCM demo app on your mobile, and copy the FCM token. 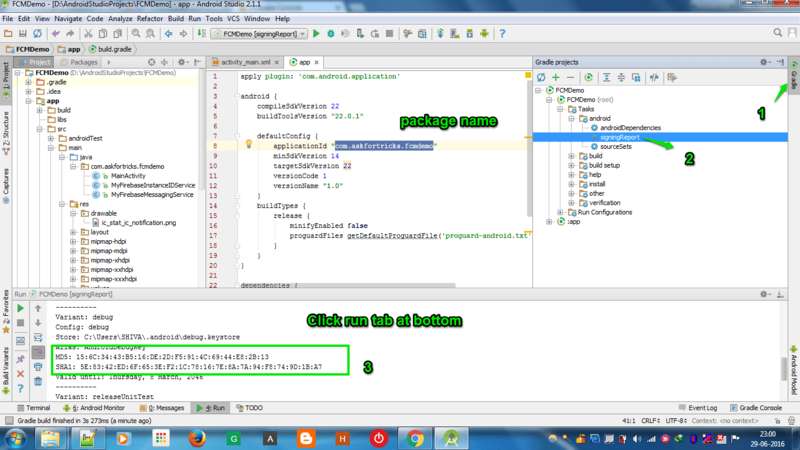 Step 14: Paste the FCM token that you have copied from the log in Android Studio, select Single device and click SEND MESSAGE button. If you have any doubts or suggestions please comment . I will be glad to improve by your suggestions. Remember to include your own google-services.json file to run this demo.